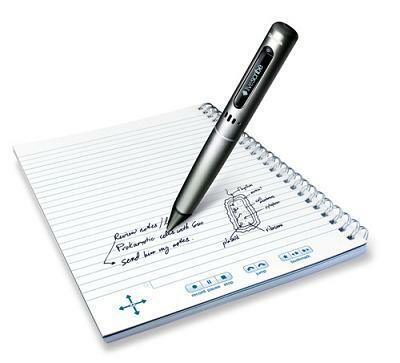 Previously we mentioned about Livescribe’s Pulse Smartpen which appears to be your good companion when trying to jot down lecturer’s notes electronically, now seems that the company has continued to upgrade its product line to include a much higher memory capacity up to 4GB. Similar to its predecessor, the new model is equipped with an ARM9 processor which can help users to recognize handwriting and able to record audio intelligently. Further enhanced with a titanium stylish outlook, the 4GB model allows a much longer audio recording time up to 400 hours, doubling what can be achieved by its previous version. To make it more powerful, it even takes into consideration so that there are plenty of leftover space for apps installed through Livescribe Application Store that will be available soon. The new 4GB package will be retailed at $200 which is about the same price when it was launched since early last year for 2GB model and good news is, the 2GB model’s pricing has been slashed to $170 to give way to this newly released 4GB model. In conjunction with the release, Livescribe is offering its customers with a Pro-Pack package that includes a 4GB new pulse smartpen, an A5 sized notepad, leather carrying case, a charging cradle as well as the proprietary handwriting to text conversion software at an affordable price of $250.